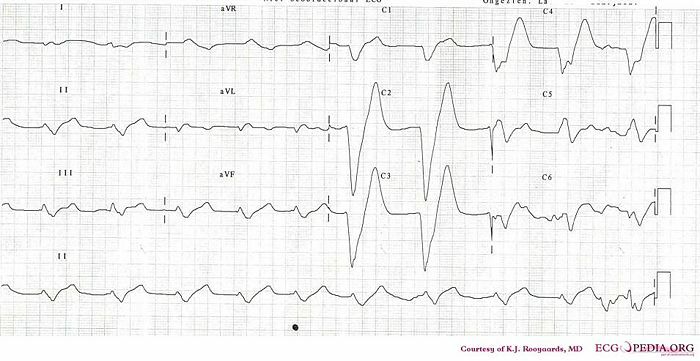 The first ECG shows a rhythm around 60 bpm with severe QRS prolongation and prominent T waves. 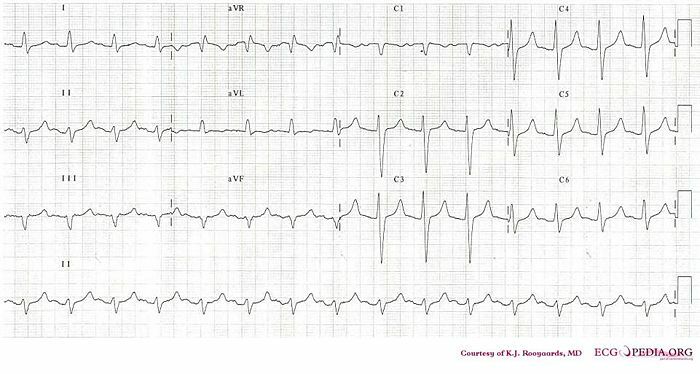 This might be sinusrhythm with very small P waves or atrial fibrillation with a relatively regular rate. 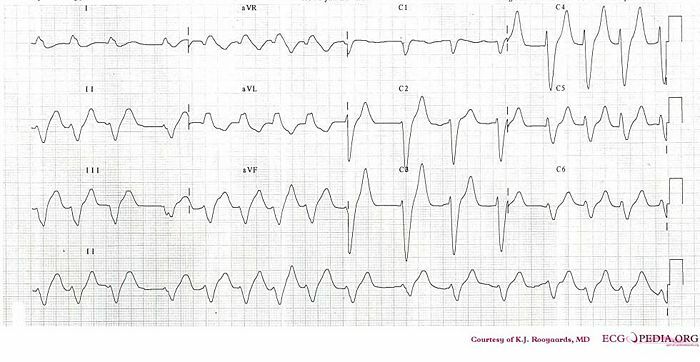 These changes are typical of severe hyperkalemia. This page was last edited on 11 November 2008, at 15:52.